God sat us down inside of a family and a life. We may not be able to orchestrate circumstances because, let’s face it, we live in a fallen world. We can, as Miller says, write a good story, take somebody else along and let God lead us in the midst of it all. We do have to seek God for our journey. Only He can lead us. Only He knows the right paths for us to take. 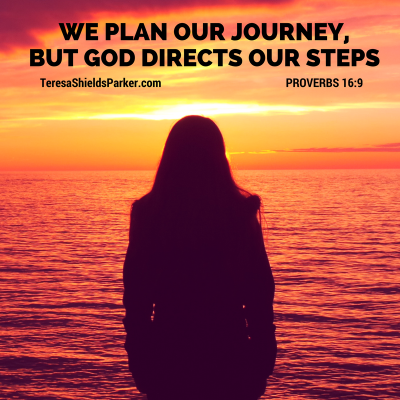 We plan our journey, but God directs our steps1 We never have to worry about where we are headed if we take Him along with us. I was, though, concerned about what I wanted to do in life. My mother instilled the love of books in me. Watching her devour books made me want to be able to write a book that would take someone into a different world if just for a moment. I wanted to impact lives by helping people get lost in the pages of a story. I wanted to write fiction books, but that desire was dashed because the adults in my life thought creative writing to be a major which wouldn’t garner a job. So I majored in journalism in college and focused on writing stories about real people and especially how God had intercepted their lives. I fell in love with writing about how God works in the lives of people to get them where He want them to be. God does that with every person and it makes a great story when we are bold enough to share our stories with others. It’s not an easy or simple thing to do however. Brene Brown says, “Owning your story is the bravest thing you will ever do.” I found that to be more than true. My story is about a journey of getting closer to God. By that point I had lost 240 pounds. It felt like I had just gone through a war of monumental proportions, but I never saw it as a book I’d write. The book I’d write would surely be about someone much more important than me. Then I saw the book laid out in the heavens—beginning, middle, end, inciting incident, anti-climax, climax, purpose, message, audience. It was all there. All I had to do was write it. I began writing, but really got bogged down quickly. I knew I had to write a memoir, a true story, but I struggled with telling the world some of my deep, dark secrets. Some people, even close family, didn’t know all my truths. So I sought help from God, of course, but also from mentors He put in my path. God told me to write and publish my story and so I did believing that if it helped even one person, it was worth my time and effort. Imagine my amazement when Sweet Grace: How I Lost 250 Pounds became the number one Christian Weight Loss memoir on Amazon. It got to that place by God and God alone. It still holds that spot. Well, truth be told, every now and again, my new book, Sweet Freedom knocks Sweet Grace down to second. They are both parts of my story. I published Sweet Grace Study Guide in early 2014. 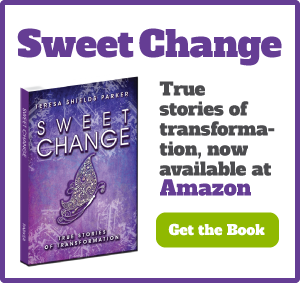 I published Sweet Change: True Stories of Transformation in early 2015. Having a moment of change where I was headed one way and turned around and went the other way was huge on my journey. 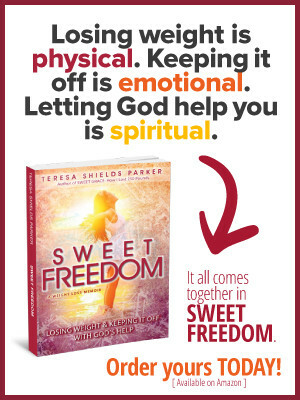 Early in 2016, I published Sweet Freedom: Losing Weight and Keeping It Off With God’s Help along with Sweet Freedom Study Guide. 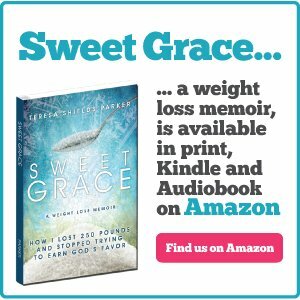 Where Sweet Grace is mainly about my physical weight loss journey, Sweet Freedom goes more into depth about the emotional and spiritual pieces of my journey and how to keep the weight off. Losing weight, even an extreme amount of weight, was pretty easy once I got started and had my head totally focused on what I wanted and why. Keeping weight off or staying out of any addiction is what the journey is all about. I’ve learned the journey is more important than the destination. The totally perfect body will never happen for me unless I want to spend lots of money on skin removal and plastic surgery. That’s not what it is about for me. It’s become about doing what God wants me to do. My health is of prime importance to Him and so it has become of prime importance to me as well. Each of these books is a piece of my story, but it’s not really about arriving somewhere. It’s not about a destination of looking great or even losing 260 plus pounds. My story is about a journey of getting closer to God. It’s not about the destination. We all know where we are going if we have accepted Christ as our Savior. As I’ve heard it said, “I’ve got the ticket.” God wants it to be about the destination, about getting closer and closer to Him. We do that by loving Him and showing Him our love through following Him and obeying Him. We are His sheep. We hear His voice. He knows us. And then, we follow Him.3 If we aren’t following, maybe the destination isn’t clear or we are choosing a different destination? It’s something to think about. God doesn’t promise us smooth sailing on the journey, but He does promise to lead us, build our character and make sure we fulfill the destiny or purpose for which we were born. I’d love to know, what’s your story? What is the biggest obstacle on your journey? Share in the comments below. This year I invite you to join me on my journey. I’ve made it easy to read my story by dropping the price of the Kindle edition of my books to $2.99 each for Sweet Grace. Sweet Change and Sweet Freedom. If you didn’t have a chance to take advantage of that offer, I’m extending it through Jan. 24, 2017. Get all three for under $10. Print versions have also been reduced. 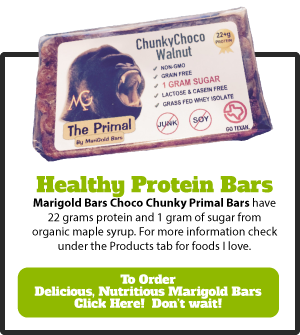 If you are interested in starting out 2017 the right way by getting rid of unwanted pounds, check out Sweet Change Weight Loss Coaching Group. It now has a video vault of resources worth over $5,000 which includes 52 video courses with more being added. 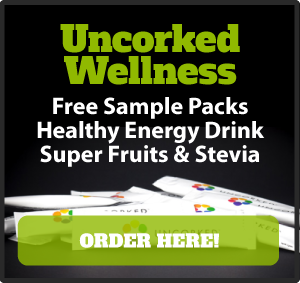 These are available for members to access at any time while they are in the group. Join me for video teachings, Q&A videos, monthly video calls and coaching. In the last three months of 2016 those in the group lost a combined total of 180 pounds. Let’s do this. For more information or to join, go HERE. P.S. 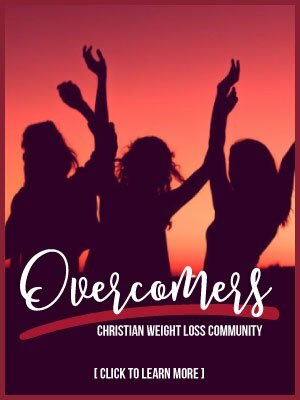 We are building the video vault to be one of the premier resources for Christian Weight Loss. When it is finished, it will have over $10,000 worth of resources along with Videos we are doing in the group now on Emotional Eating and Sweet Freedom Principles at your disposal. The monthly price will go up when we get it completed. However if you get in now, your price will never go up as long as you are in the group. Don’t wait my friend. It’s a new year. It is time. Join us on the journey! Go HERE. 2A Million Miles In A Thousand Years by Donald Miller, pg 246-247.